As the hotbed markets in Toronto and Vancouver cool down, Ottawa’s is heating up, and, despite being our nation’s capital, homes here are still surprisingly affordable. The demand for housing is heating up the competition, and you’ve got to find a way to make your home stand out to be seen. As the president of the Ottawa Real Estate Board put it: “home buyers are looking beyond their basic needs to check off more boxes such as a view, downtown location, or acreage”. 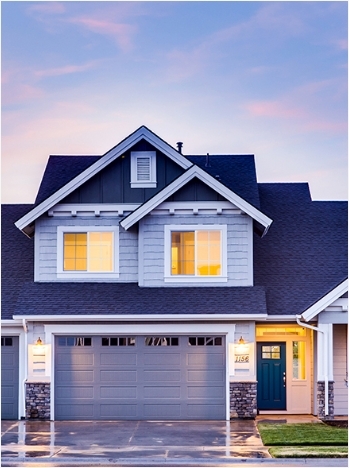 Potential buyers might want more than just your standard roof and garage, but there is one easy way to increase the sale price of your home and get it off the market faster: curb appeal. Making your home look better from the road is the best and most affordable way to improve your chances of making the sale, and it won’t cost you much either. Here are four affordable ways to spruce up your home’s appearance. Spray painting your vinyl or metal gutters is a great way to make your home stand out from the road and get potential buyers to brighten up when they pass by. Instead of having dull metal gutters, you can give them a brass shine that will catch anyone’s eye. A few quick upgrades and aesthetic touch ups will go a long way. Did you know that one of the biggest trends in curb appeal makeovers is adding a bit more panache to your address number? It’s true. Plant a signpost in the front corner of your yard, hang a flower pot from it, and put fancy numbers on the sign to let the mailman know he’s in the right place. People will love it! Your trees are the heart and soul of your home’s yard. Their lush, leafy limbs help to protect your home from the heat of the sun, give shelter to birds and other friendly animals, and create a warm and inviting atmosphere for the neighbourhood. If you really want to step it up a notch with your gardening, you can plant a colourful flowerbed around the base of the trees in your yard. The mix of purples, reds, and yellows will turn the heads of passersby and it won’t cost you much at all. The local market is heating up in the Greater Ottawa Area, and if you want to make your home stand out, you’ve got to increase your curb appeal. It’s a lot easier than you think. With these four tips, you’ll take the ceiling off of your home’s sale price. Nothing does the trick better than tree and yard care, and no one in Ottawa does tree care better than Rocks.